• Measure directly on the body. • The measuring tape must be flat at all times. • Our waist sits lower on the body so the product measurements given will be larger. • Use your hip measurement as the leading guide for pants & denim. 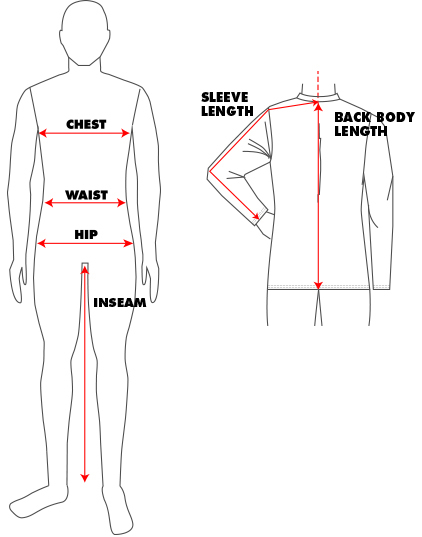 • If a measurement is between two sizes, order the smaller size for a tighter fit or the bigger size for a looser fit.